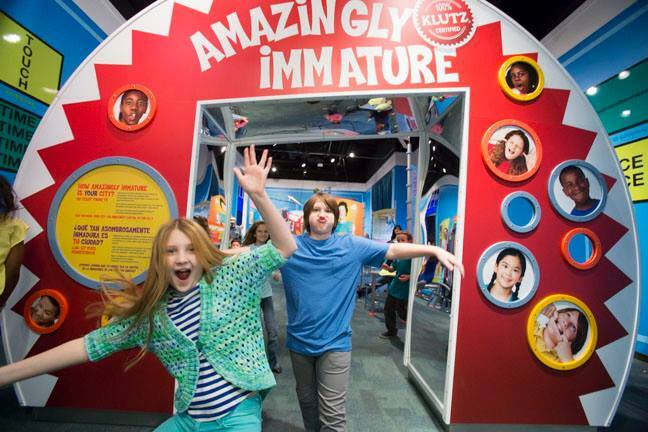 Nothing beats a children’s museum for hours of interactive fun with our little ones. 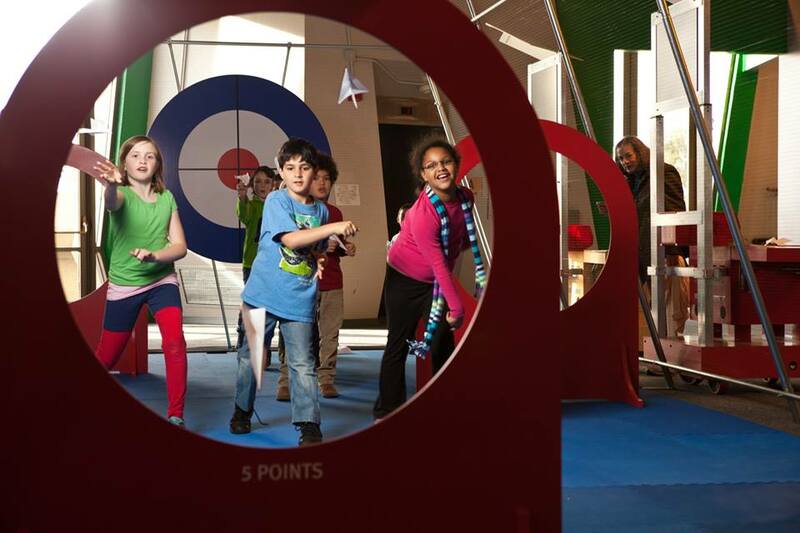 With spaces so thoughtfully designed to engage our kids in a variety of playful learning experiences, museums for children are such a treat to visit. Of course, we LOVE the Thinkery and are thankful to have such a gem here in Austin. But when we’re looking to venture outside of the city limits, there are a handful of children’s museums that are well worth a trip. Just an hour outside of Austin, you’ll find this terrific science museum in Johnson City. It has more than 40 interactive world-class exhibits, a 3D theater, a huge outdoor space with an impressive kinetic sculpture. Old silos are transformed into exhibit space featuring things like The Fractalarium. There’s also many “maker stations” where kids can play a banana piano, play with “critter bots”, or play with sand to form mountains, rivers, and lakes. 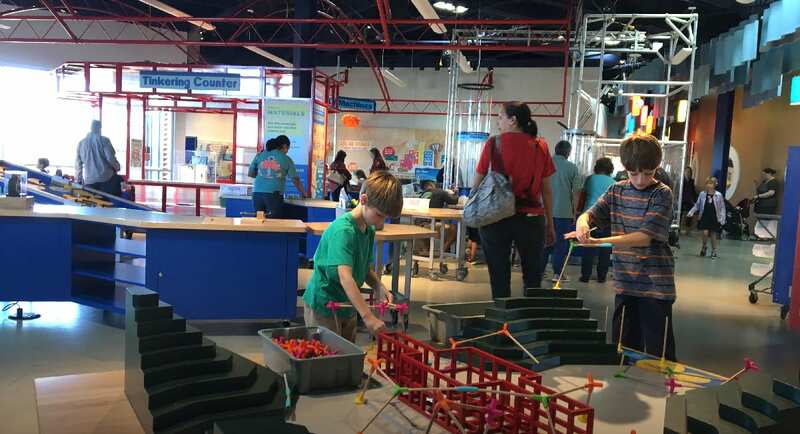 The Science Mill provides hours of fun for all ages. We love it! Read our review here. Visit their website for information special events and summer camps, too. About 1 hour and 20 minutes from central Austin, this San Antonio museum is awesome. With three levels and 26,000 square feet of indoor exhibit space and an additional 39,000 square feet of outdoor exhibit play space, it offers unique exhibits unlike any other children’s museum in the U.S. There’s a spy academy filled with math challenges, a treehouse and outdoor water feature, a musical staircase, programmable robots, and a mini town that includes a grocery store, airport, construction zone, trolley, post office, etc. for young children to explore. Plus, there are so many hands-on activities, perfect for your tinkerers. You’ll get to play in a ball room, program robots, build objects and test them to see if they can take flight. Click here to read our review. Click here for all the latest about DoSeum events as well as hours and admission info. We had the best time visiting this museum on the Baylor University campus, approximately 1 hour, 30 minutes from Austin. If you haven’t been before, be prepared for hours of enjoyment. The Mayborn Museum Complex features a natural science and cultural history museum with really cool walk-in dioramas including one on the Waco Mammoth Site, and exploration stations for geology, paleontology, archaeology, and natural history. Your kids will be in awe of the fossils, historic Texas homes such as a grass house, and more. In addition to the natural history exhibits, there are two floors of 17 themed kids discovery rooms for hands-on learning. Make giant bubbles, have a tea party, play dress up in clothes from cultures all over the world, see model trains, pretend to be a meteorologist and give a weather report against a green screen. SO MUCH hands-on fun for kids. You can also check out an outdoor historic village behind the museum, located on the banks of the Brazos River. Click here for more info about this museum complex, including hours and admission fees. This fun children’s museum is located just about one hour south of Austin in New Braunfels. 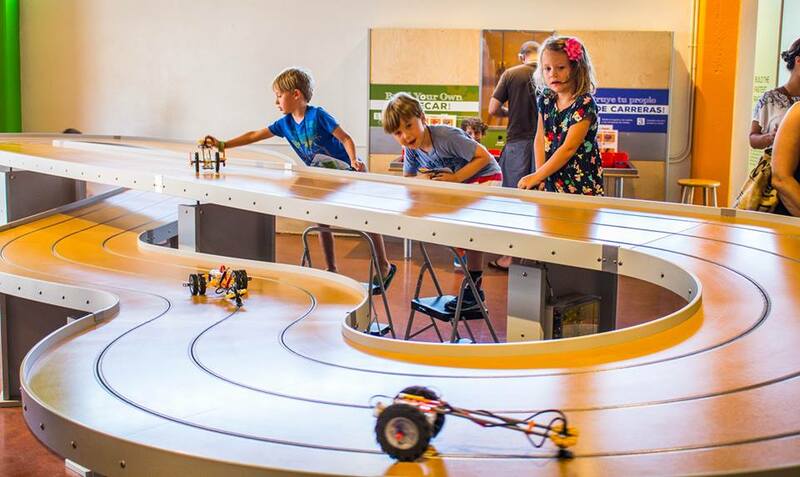 The museum is designed to help children use all their senses, with exhibit areas including the Grocery Store, Hill country campgrounds, Lend-a-Hand ranch, New BraunFit, The Great Outdoors, Town Square, Kid’s Clinic, Art Studio and Aquarium. Kids will love their outdoor water play area! Click here to check out their website for hours and admission info and to learn about special events. While this one is certainly more of a distance (approximately 3 hours), it’s a great stop for anyone planning travel in or around Houston. 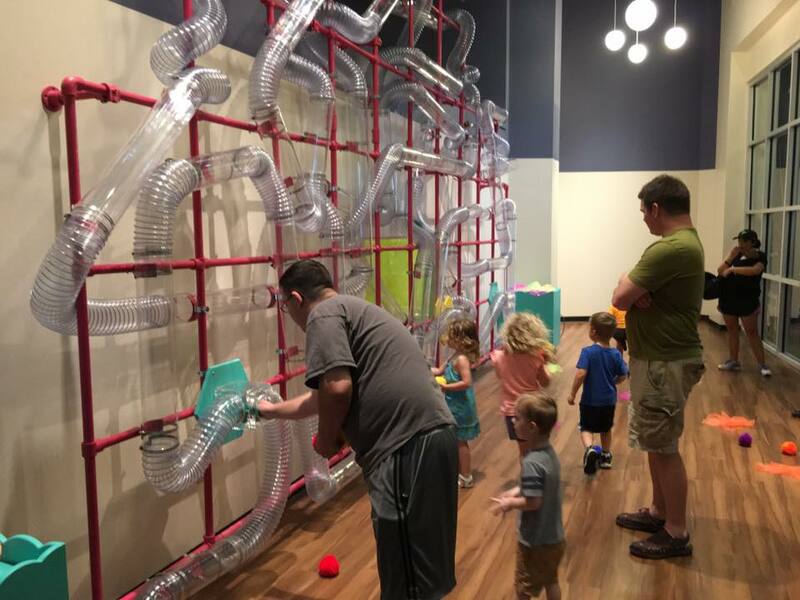 Known as “A Playground for Your Mind!”, The Children’s Museum of Houston is packed with 90,000 square feet of interactive exhibits including the Tot*Spot, for kids up to 35-months-old, which is complete with mirrors and a ball and pillow pit. Older kids will enjoy a mini engineering workshop in Invention Convention or EcoStation, an outodoor and indoor area where kids can do leaf rubbings and collect bugs. For all the details about this museum’s exhibits, events and admission, please click here. What is your favorite children’s museum? Have others to suggest?